In 1899 the Rowfant Club of Cleveland, an exclusive association of book collectors, issued a deluxe limited edition of the story collection The Conjure Woman, which had been written by city resident Charles W. Chesnutt and published earlier that year by Houghton, Mifflin. The author himself hoped to join the club and three years later applied for membership, only to be denied because “one or two members thought the time hadn’t come” for admitting black members to their ranks. The Rowfant Club’s members must not have been too offended by Chesnutt’s riposte; in 1910, they reconsidered their decision and admitted him as the first African American member of the club. (A century later, the club still exists, but it remains resolutely men-only.) Helen Chesnutt, in her biography of her father, recalled the pleasure he took in “Saturday nights at the Rowfant Club. . . . There he basked in the warm rays of friendship for which his lonely heart had yearned in the days of his youth in North Carolina.” Over the course of the next decade, he delivered lectures on Alexander Dumas, George Meredith, and other literary figures. Notes: Procrustes is the name of a mythical highwayman who tied victims to a bed, fitting them to its length by stretching them or cutting off their legs. Thus, something is Procrustean if it is senselessly made to fit some arbitrary standard. Joseph Jefferson, entioned in the first paragraph, was a famous American actor of the late nineteenth century. Doublures, referred to twice in the story, are ornamental linings on the inner side of a book cover. Baxter’s Procrustes is one of the publications of the Bodleian Club. The Bodleian Club is composed of gentlemen of culture, who are interested in books and book-collecting. It was named, very obviously, after the famous library of the same name, and not only became in our city a sort of shrine for local worshipers of fine bindings and rare editions, but was visited occasionally by pilgrims from afar. . . . If you don't see the full story below, click here (PDF) or click here (Google Docs) to read it—free! A good example of fine art not aging. A century old, and the fine edge of the weapon is not yet dulled. Years ago I wanted to read poems by a campus author and the university library only had one uncut copy copy in the Poetry Room. I did not draw the conclusion that this poet must be very fine, only that the library didn't feel it worth its while to invest in an additional copy. Never have read the poems. 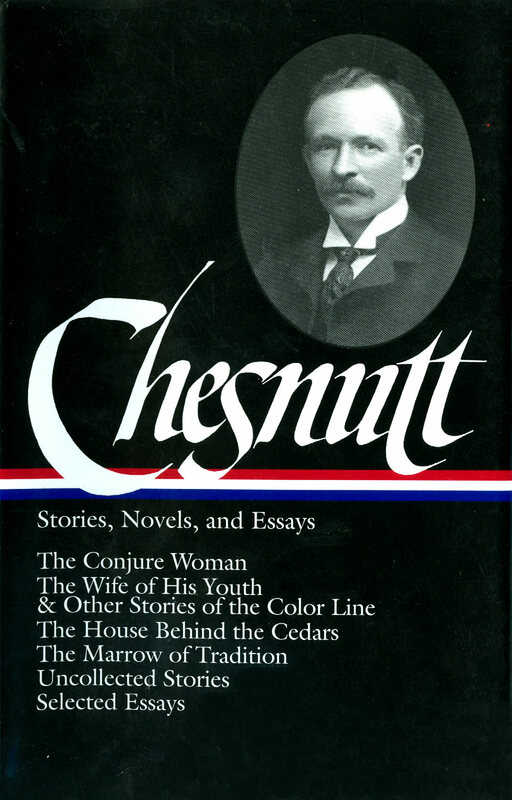 In addition to everything else, Charles Chesnutt was a humorist with a proclivity for wordplay, and he himself was a collector of fine bindings. Then consider that Baxter means baker, and consider the word "crust" inside the word Procrustes: Baker's Crust = Fine Binding. Also consider that Chesnutt was spoofing himself in this short story, with regard with both interests and personal quirks. None of this is meant to take anything else away from the story or its implications.